This afternoon the jury in the Pullano v Hinder trial has been locked away, considering its verdict and going through a list of 24 questions Mr Justice McCarthy asked them to address. Five jurors out of the six must agree the verdict on each of the questions. Question 1: Was there a punch? Yes or no. Everything else flows from this. If there wasn't a punch there is no need to address a bunch of other questions. After deliberating for hours the six members of the jury want to know the definition of a punch. At 4.05pm the Court reconvenes and before the jury re-enters Courtroom 402 the Judge invites counsel to address him on this point. William Reid for Pullano says that Hinder is being accused of the tort of battery which he says is some physical contact or touching without consent. The tort encompasses shoving, punching, poking. Deborah Berlach for Hinder says the evidence was all about a punch. Reid says Hinder’s evidence states there was no physical contact with Pullano beyond the handshake. He tells the Judge the jury needs guidance on the law of battery. The Judge disagrees. The first question on the Charge Sheet of 24 Questions simply asks if there was a punch. The Judge says a punch is to strike with a fist. But there is no legal definition of punch. And he is not going to say anything about battery. And with that the jury retires, none the wiser. If they cannot reach a verdict tonight they will reconvene at 9am tomorrow. 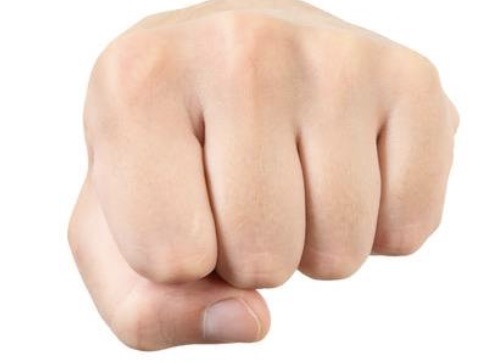 Collins dictionary and the Canadian Oxford dictionary both define a punch as a blow with the fist. Update: John Abel who gave evidence in the Pullano v Hinder trial on Friday 30 November 2018 collapsed on Sunday 2 December 2018 and, tragically, has since died.